Allergy Doctor of King of Prussia – Allergy & Asthma Specialists Are Fall Allergies Tripping You Up? Are Fall Allergies Tripping You Up? If you develop unpleasant respiratory symptoms every fall, you may have allergies instead of the common cold. You can consult an allergy doctor for allergy testing and treatment. The allergist may find that you’re allergic to ragweed, which is a common cause of allergic rhinitis. In Pennsylvania, ragweed season begins in mid-August, and intensifies in September and October. It generally does not subside until November, when a hard frost can kill the ragweed. The symptoms of allergic rhinitis can affect you regardless of whether you’re in an urban or rural area. Just one ragweed plant can produce one million granules of pollen every day. The pollen is readily spread by the wind, often causing ragweed pollen levels to peak in the afternoon. You may have allergic rhinitis if you suffer from a runny or stuffy nose, sneezing, an itchy throat, itchy eyes, swollen eyelids, and hives. You may even develop asthma symptoms, such as problems breathing, wheezing, and coughing. The symptoms of allergic rhinitis, which is popularly referred to as hay fever, cause millions of missed work and school days each year. An allergy doctor can develop a two-pronged approach to manage allergic rhinitis, which involves medical treatment and lifestyle modifications. Medications such as nasal corticosteroids, decongestants, and antihistamines can help ease the symptoms of fall allergies. You might also consider trying immunotherapy, which helps the body become better able to tolerate your allergens. Lifestyle modifications are a preventive approach to allergy management. 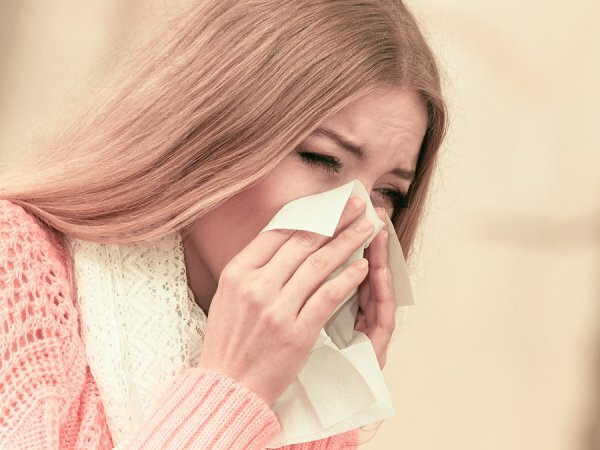 Avoiding your allergen whenever possible and controlling your environment can help you get through the season. For example, you could avoid going outdoors during peak pollen levels, keep the windows closed when indoors, and wash your hands frequently to rid them of pollen. The fellowship-trained, board-certified allergists/immunologists of Allergy & Asthma Specialists are available to help new and current patients manage their fall allergies. An allergy doctor at our premier practice can provide comprehensive diagnostic testing and advanced treatment options, including immunotherapy. Our offices are located in Blue Bell, King of Prussia, Philadelphia, Pottstown, Collegeville, Jenkintown, Doylestown, and Lansdale. Schedule today online at AllergyandAsthmaWellness.com or by calling 1-800-86COUGH, option 2.